Warm weather is finally here and that means one very important thing: Rosé season has started. 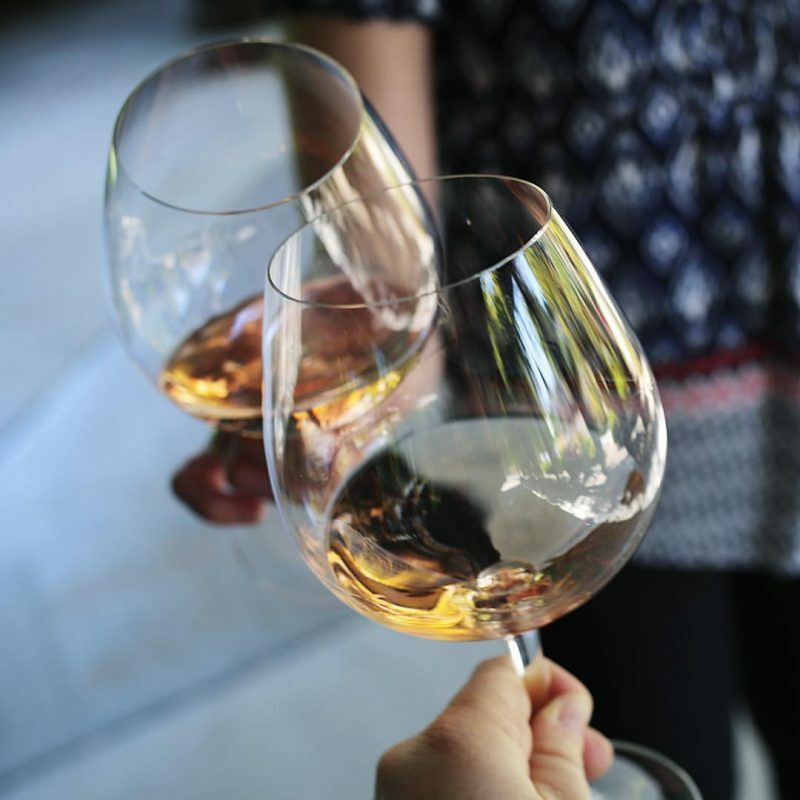 We've tasted over 60 Rosé wines from Sonoma County (and a few from Napa Valley) to discover the best of the best for summer sipping. Click through the gallery and find more details in the article below. 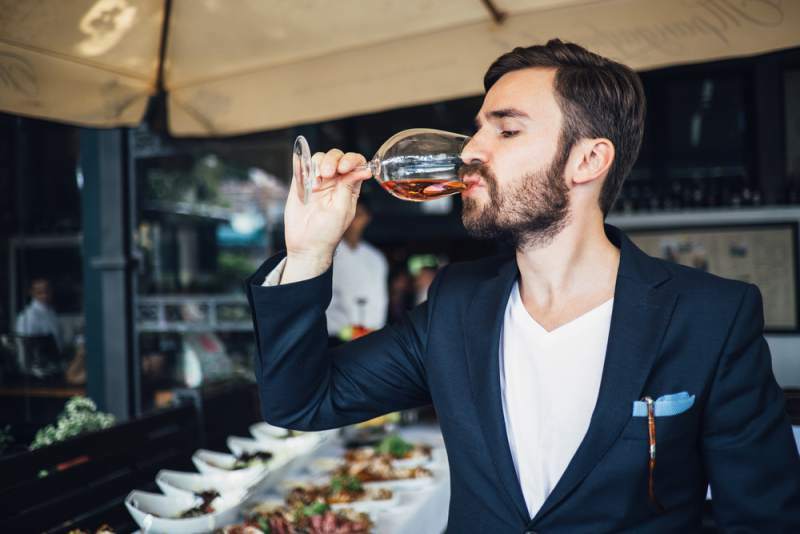 Screwcap sipper: The latest Rosé from Kendall-Jackson has all the important components of a Rosé - it's low in alcohol (13% ABV), not too sweet, and it has an easy peasy screw cap for easy access. 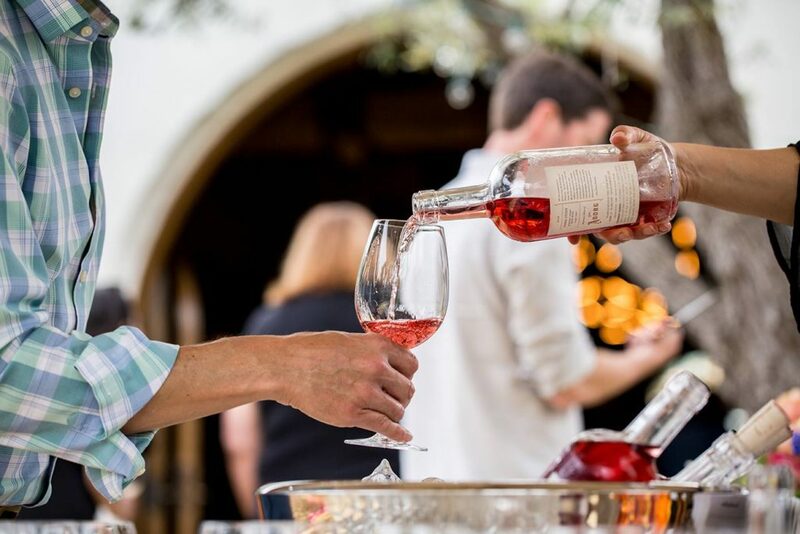 Sip Rosé slowly and nod your head when asked if you notice the hints of chocolate and raspberry: Victor Hill winemaker and co-owner Vic McWilliams knows what he's doing, that is for sure. With a deep palate of cranberry and raspberry, his Rosé of Pinot Noir will convert a big bold red wine fanatic who scoff at Rosé as a "girl wine." Perfectly pretty in pink: Specializing in Pinot Noir, Bruliam Wines makes super small lot, single designates from some of the best vineyards around. Their Rosé is a blend of Pinot from those vineyards and is super food-friendly. 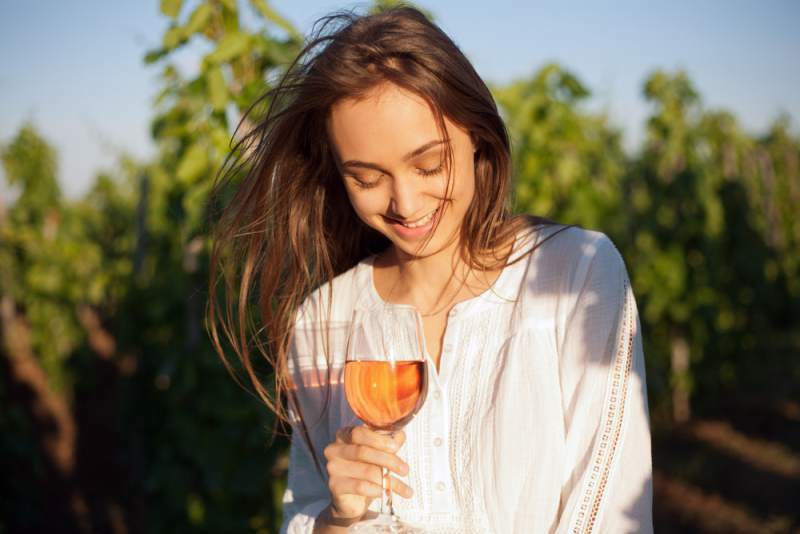 Warm weather is finally here and that means one very important thing for wine drinkers around the world: Rosé season has started. 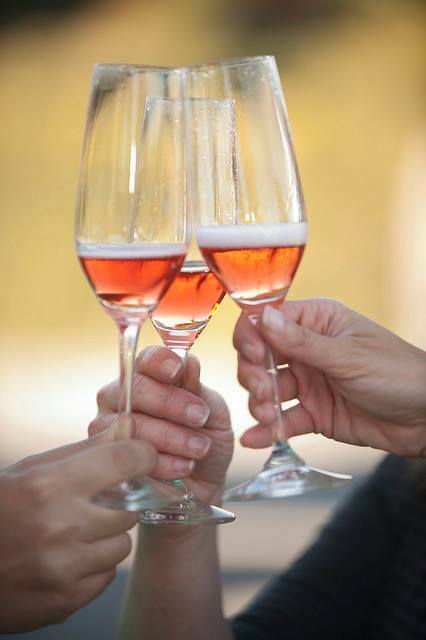 The selection of Rosé is larger than ever – every winery seems to be producing a Rosé! So what Rosé should you be sipping on this summer? 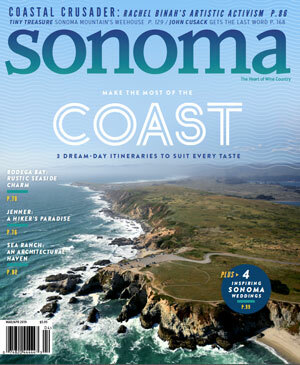 We did the hard work for you – tasting over 60 Rosé wines from Sonoma County to discover the best of the best. Here are the most delicious Rosés to fill your cooler with whether sipping poolside, riverside, patioside, picnicside (you get the picture! )…this summer! 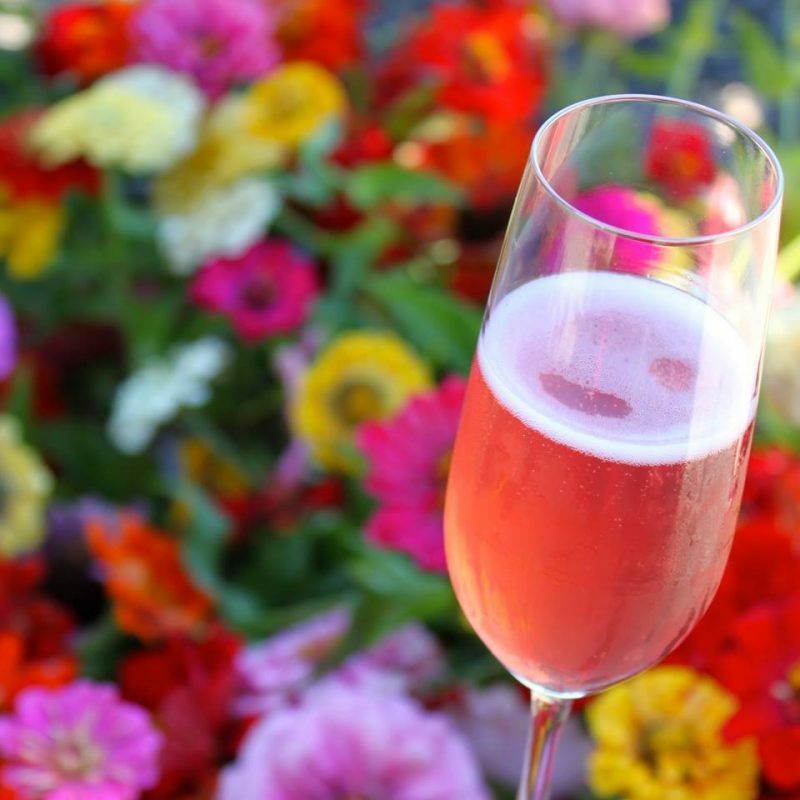 This predominantly Pinot Noir blend tops best sparkling Rosé lists annually. This sparkler is a great aperitif, with a citrus and cranberry nose and a creamy, tart, acidic taste (thanks to a touch of Chardonnay) that is filled with raspberry and a touch of bing cherry. One word sums it up: refreshing! 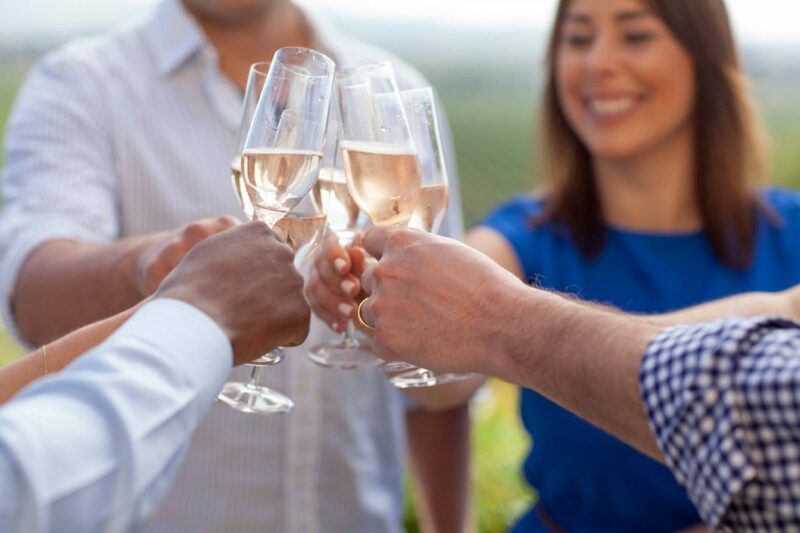 From the first to the final sip, Iron Horse’s estate Rosé stands up to the best of French Rosé Champagne. It’s rich with brioche, cherries, granny smith apples and tart raspberry. Oh, and lots and lots of bubbles. A classy warm weather sparkler that will impress even the snobbiest of wine drinkers. 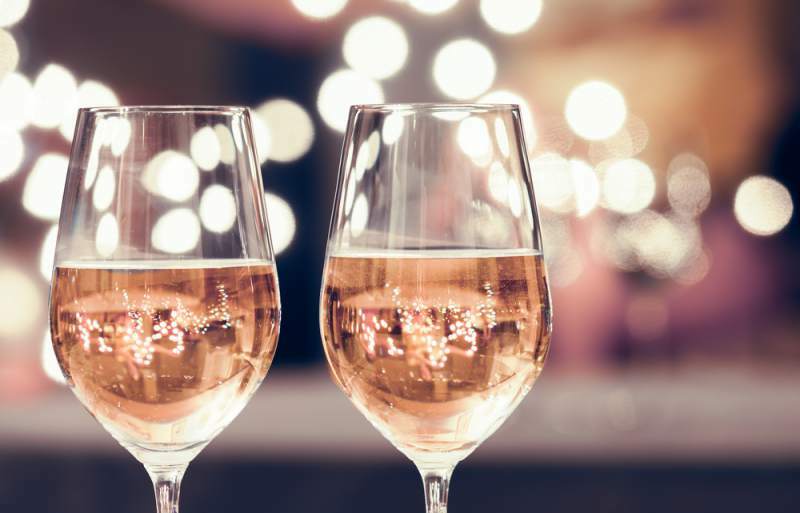 “Starter Rosé” “Cougar Juice” and “Mom will love this” were some of the many notes that surrounded La Crema’s Rosé – and those aren’t bad things. This wine is a safe bet for group gatherings – and the price point (under $20 at the grocery store) can’t be beat. It’s filled with fruit: strawberry, watermelon, mulberry – all the good stuff you want out of a summer sipper. This marks the second vintage of Kanzler’s Rosé, which the winery adorably describes as having a “refreshing, snappy quaff.” We couldn’t agree more – it smells and tastes of fresh picked strawberry fruit, Key lime, and honeydew. It’s based on Pinot from their estate vineyard and only 167 cases exist. 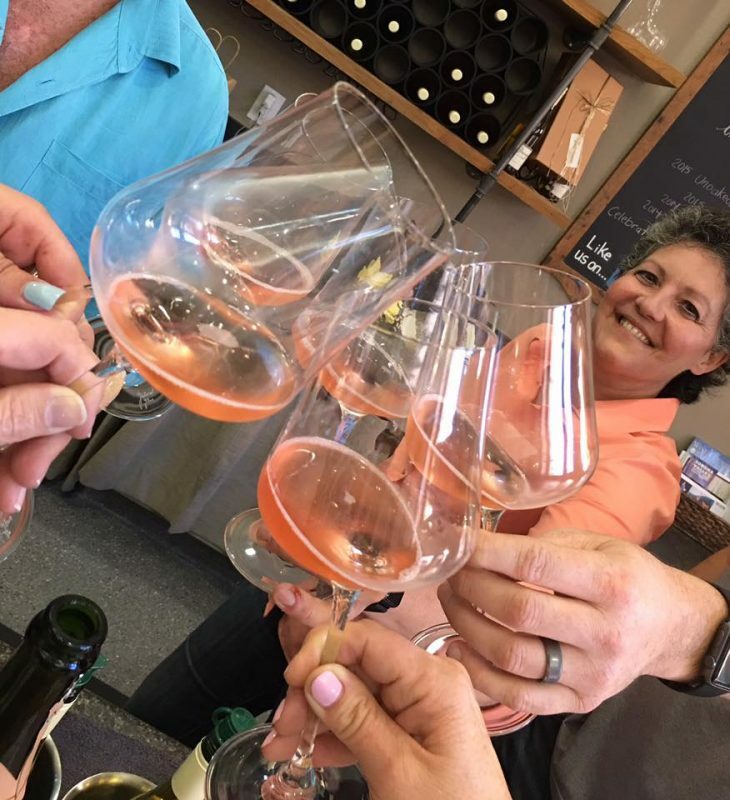 The Kobler family produces three tasty small lot Rosés, all with their own unique personalities, our favorite being the Syrah. 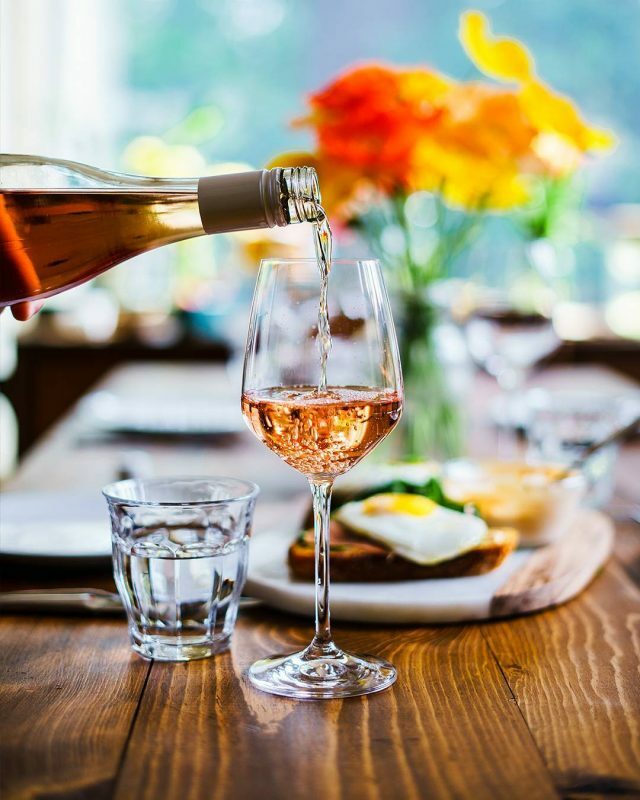 Foodies will flock to this food-friendly Rosé. It has a unique flavor of cranberry and jelly beans, making it a perfect wine to pair with acidic foods like a watermelon, tomato and feta salad. A real standout, Passaggio’s Tempranillo uses fruit from Clarksburg to create a refreshing, smooth Rosé that we declared a “wine geek’s Rosé.” It’s delicately balanced with hints of lime and red berries, fun acid (as one would expect from winemaker Cynthia Cosco) and a smooth mouthfeel. A must try for any wine enthusiast. Rhône fanatics have another reason to flock to the girl & the fig: they make their own Rhône varietal wine. Their 2016 Rosé is their best yet, at 72% Grenache & 24% Syrah, accented with a touch of Cinsault, Counoise and Mourvedre. The nose has a hint of candy and Marjoram and the mouth is lush with Alpine strawberry, raspberry, and a touch of kumquat. Get it exclusively at the girl & the fig. Pangloss is named after Dr. Pangloss, a character from Voltaire’s Candide, and whether you are reading the classic French satire or the latest bestseller, this wine pairs perfectly with a great book. It’s a pleasant blend of Grenache and Cinsault, the latter that gives this strawberry, verbena and Meyer Lemon-centric wine a lovely balance with a touch of cranberry. 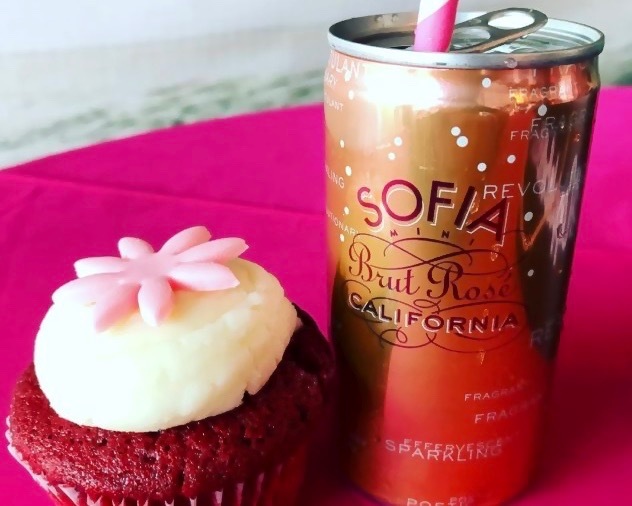 Take a cute stubby bottle, a name that rolls of the tongue (Casteñññadaaaa), a shocking pink color, oh, and a wine that tastes like fresh squeezed watermelon and strawberry juice and you’ve got one of the most sought after, cult Rosé wines on the market. Only 92 cases were made of this Rhône blend – you better share it with friends or they’ll never forgive you. A perennial favorite, we loved the easy drinkability of Balletto’s Rosé. The classic strawberry notes are complemented by herbaceous green tea, Kefir lime, candied apple and a bit of minerality. At under $20 a bottle, easily findable at the grocery or liquor store across the country, and family owned and operated, it’s an easy pick for the ice bucket when company comes over. 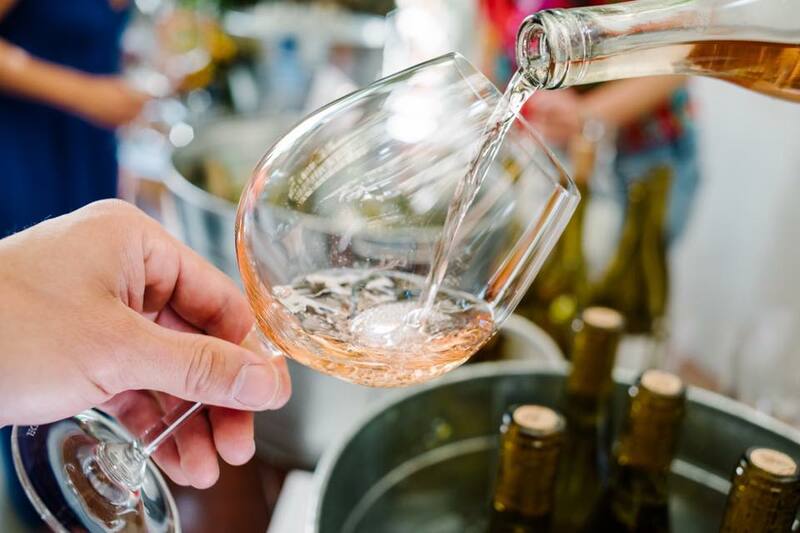 Close your eyes and taste winemaker and vintner Peter Mathis’ Grenache Rosé and you’ll be transported to the south of France. It’s refreshing yet rich, with the scent of spearmint, honeysuckle and white flowers paired with the taste of white raspberry and melon. Stock the spare fridge so you’re always prepared when party time calls. Red Car’s Rosé of Pinot Noir is the new world’s own Provençal Rosé. It’s consistently tasty each vintage, and 2016 is no exception. Our notes called it a “bouquet of delish” due to its balanced acid and classic Provençal-style attributes: it’s dry, crisp, and fresh tasting with a touch of strawberry and cherry. An all occasion wine. The majority of the grapes used to produce Bedrock’s Rosé are from 100+ year old vineyards, with the youngest planted during Prohibition. It’s a Rosé that Robert Parker has declared one of the best he ever had. It’s a bright Rosé filled with strawberries, savory herbs, and notes of delicate deep citrus. Drink now or age – yes, age this Rosé – in your cellar for another year or two. It’s no surprise this wine is named Indica, which is a strain of cannabis that is known for its relaxation properties: this wine is from old vine Carignan vineyards just outside of Ukiah in Mendocino County (where cannabis almost rules over wine). And relaxing it is – inhale beautiful notes of dill and white flowers, followed by a taste of ripe watermelon and fresh herbs. KJ scored big with their new Rosé. It’s low in alcohol (13% ABV) and the screw cap makes it a great pick for summertime sipping in the sun. It’s got the right amount of sweet without being too sweet, tastes like the things we love about Rosé (strawberry & watermelon), and looks good in a glass. What more do you need? Buy it by the case for your camping trip. Pop this Rosé into your floating cooler because it pairs great with tubin’ down the river. A deep, dark pink, it’s primarily Zinfandel with a touch of Grenache, Syrah and Viognier. It’s dry, with a nose of plumeria, tuberose and cream. It has a nice, acidic mouthfeel lush with stone fruit and exotic pomegranate. Screwcap included. 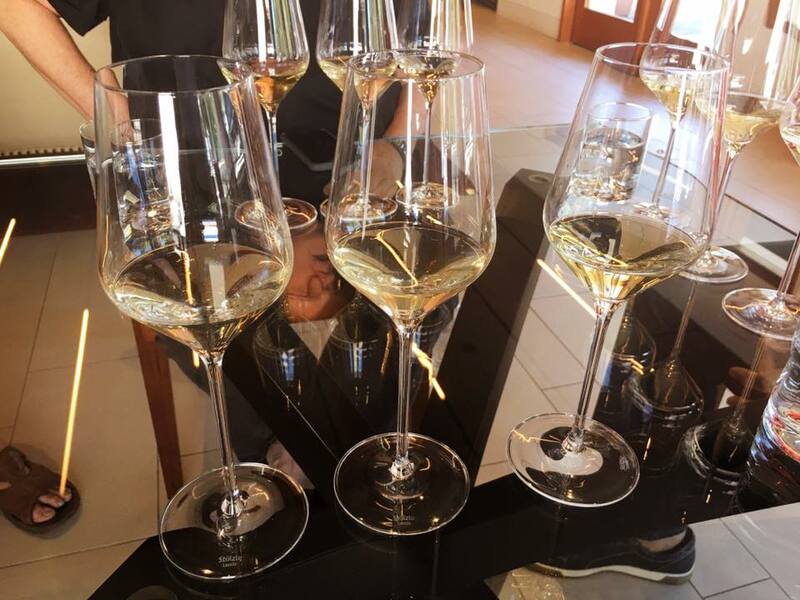 A new kid on the block, Apriori is a boutique winery producing small lot wines from Napa and Sonoma Counties. 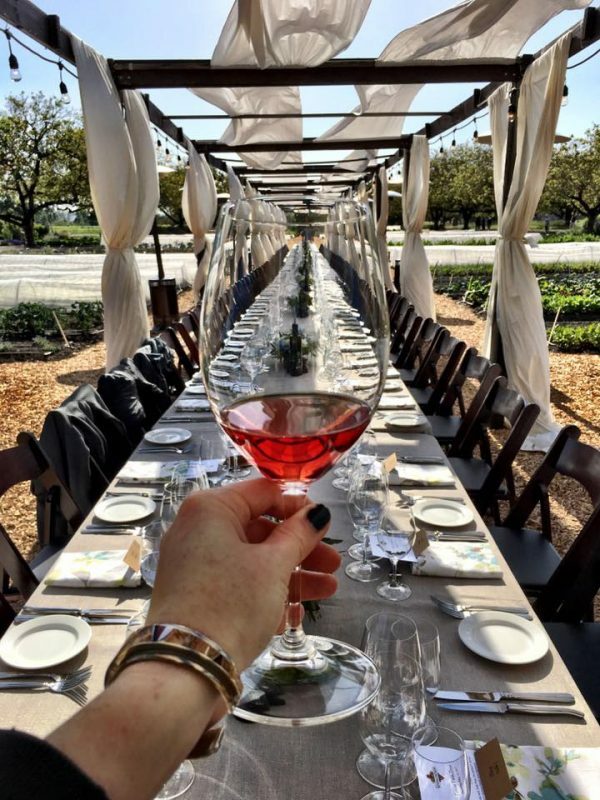 Their Rosé is 100% Pinot Noir from the famed Sangiacomo Vineyards in Southern Sonoma County. Kefir lime and fresh orange give it a vibrant nose while a classic palate of sweet strawberry fills the mouth. Serve ice cold, poolside. Winemaker and co-owner Vic McWilliams has been working with Sangiacomo Pinot for decades – he knows what he’s doing, that is for sure. With a deep palate of cranberry and raspberry, this Rosé of Pinot Noir will convert a big bold red wine fanatic (i.e. 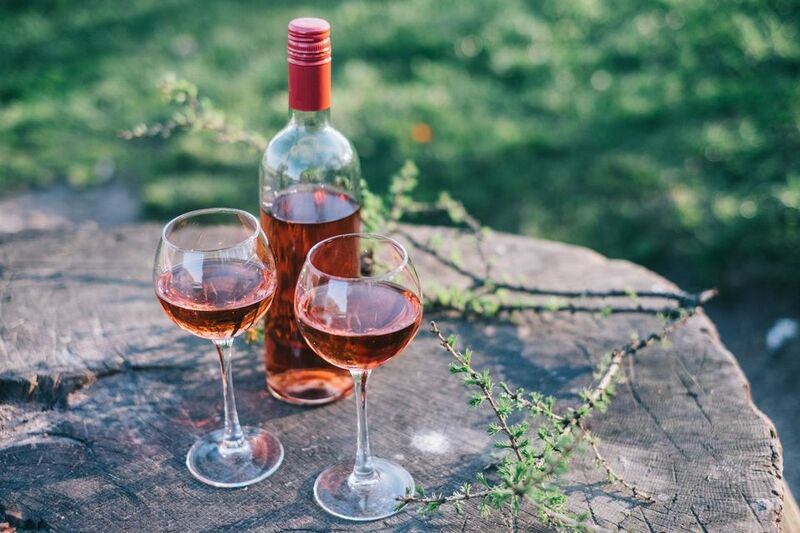 Cabernet Sauvignon drinkers) who scoff at Rosé as a “girl wine.” Don’t drink it all this summer – store a few bottles away to sip next to the firepit on a cool fall evening. Specializing in Pinot Noir, Bruliam makes super small lot, single designates from some of the best vineyards around. Their Rosé is a blend of Pinot from those vineyards and is super food-friendly. 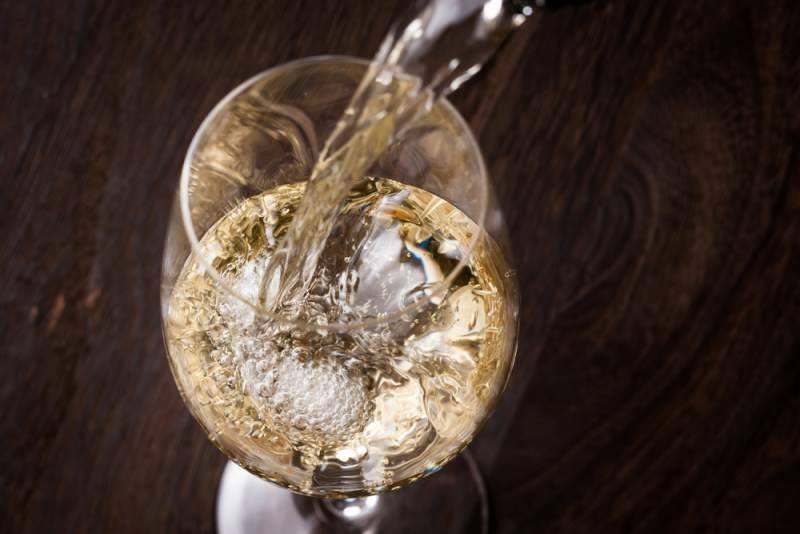 Whether nibbling on fried chicken or flipping burgers on the grill, its floral nose, matched with an elegant, grassy, citrus and strawberry palate, will satisfy. Our most southern grown Rosé, Etude is known for their Pinot Noir from their estate vineyard, Grace Benoist Ranch. A beautiful shade of salmon pink, this wine has a rich nose of sweet roadside cherries, cranberry and navel orange. All that fruit flows into the taste, with a touch of watermelon and nice acid.